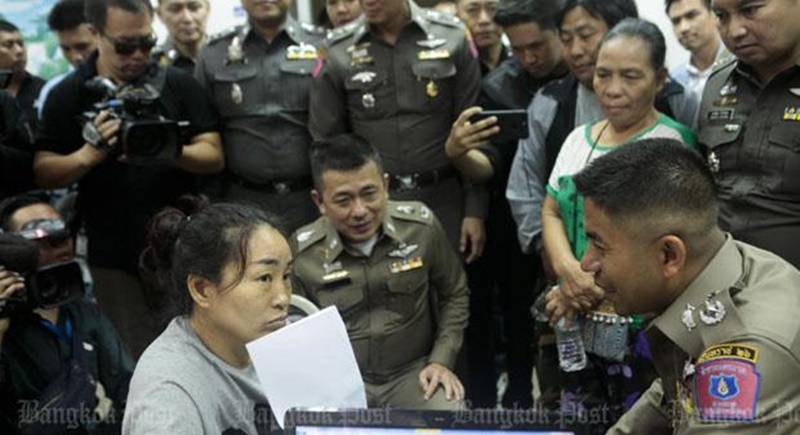 BANGKOK: Police arrested a Chinese woman accused of illegally holding the Thai ID card of an ethnic Lahu woman and operating tour services in Bangkok. They said around 50 people were suspected of similar crimes. Maj Gen Surachet Hakpal, acting deputy commissioner of tourist police, told the press at Chokechai Police Station yesterday (Nov 22) that the 43-year-old Chinese woman was arrested at The Plant housing estate on Soi Nawamin 86 in Khannayao district, Bangkok on Tuesday (Nov 21). He said the woman held a Thai ID card identifying the holder as Siripas Manae, 43, managing director of Thai Tong Mong International Travel Group. The ID card was originally applied for under the name of Miss Nakham Manae in Phop Phra district, Tak, in 2002. The data on Miss Nakham’s age and year of birth were subsequently altered. In 2003, the name Nakham was changed to Siripas at the Bung Kum district office in Bangkok. Her address was later changed twice, to Wang Thong Lang and Yannawa districts of Bangkok. Maj Gen Surachet said that the Chinese woman was among about 50 foreigners illegally holding Thai ID cards and operating tour services. The Chinese woman denied that the ID card was fake but admitted that she operated zero-dollar tour services, sending tourists to three large-scale tour companies. Such tour services offer low fees in exchange for commissions from products and services tourists buy. It was also reported that such services were a front for money-laundering. The real Nakham Manae, a 51-year-old member of the Lahu tribe, expressed gratitude towards police and said she had tried to apply for a Thai ID card without knowing that another person was already carrying it.